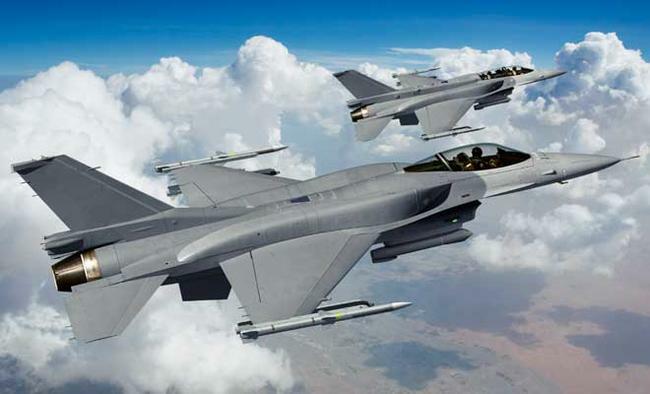 India has initiated the process to buy and make 110 fighter jets to boost its depleting fighter aircraft fleet by issuing Request for Information (RFI) to global aircraft manufacturers today. This is the first step in the tendering process. The RFI is issued just days ahead of the DEFEXPO-2018 to be held in Chennai (India) form 11th Apirl 2018. Major defence production companies are participating in the show. A very detailed selection process RFI, RFP, trials, negotiations and final clearance from the finance ministry and the cabinet committee on security has to be cleared before the deal is inked.The same pack of fithters are likely for fight for the deal this time also. Lockheed Martin’s F-16IN, US Boeing’s F/A-18IN, Eurofighter Typhoon, French Dassault’s Rafale, Swedish Saab’s Gripen and Russian MiG-35. In Febrauary, Ministry of Defence (MoD) had cancelled the process of acquiring single engine fighters and now issued RFI for the single and twin engine fighters. Before this, in 2016, India had purchased 36 Rafale aircraft from France and had scrapped the MMRCA contest for 126 fighters. It is understood that the proposal is to procure approximately 110 fighter aircraft (about 75% single seat and rest twin seat aircraft). Of these 15% aircraft (or 16-17 planes) in a flyaway state and the remaining 85% aircraft will have to be made in India by a Strategic Partner. The twin engine fighters are required for the Naval Aviation Wing of the Indian Navy. The Indian Air Force has been asked to speed up matters and deliveries are expected to commence within 36 months of signing the contract and the first aircraft produced in India by the Indian partner should be delivered within 60 months of signing the contract and entire lot of planes be delivered within 12 years of contract signing. New Delhi is looking at true multi-role plane and has imposed no restriction on the number of engines in a plane in the 72-page RFI document. It intends to use the aircraft for day and night all weather operations in the following roles: Air Superiority, Air Defence, Air to Surface Operations, Reconnaissance, Maritime, Electronic Warfare missions, and ability to refuel in mid air.India wants that original manufacturer should be willing to transfer design, development, manufacturing and repair expertise within India. It was in 2007 that tenders for the 126 Medium Multi-Role Combat Aircraft (MMRCA) were floated. An intensive flight trial process later two plane, Eurofighter Typhoon and French Dassault’s Rafale, were down selected in 2012. Price negotiations followed, however, the deal couldn’t be completed and was scrapped. In 2016, the Government announced a move to buy 36 Rafale fighter jets in an off the shelf condition from French major Dassault. To speed up matters, the MoD will be looking at new additions made by global players since the MMRCA trials were carried out in 2011. The existing production of 123 Tejas fighter jets being made by public sector giant Hindustan Aeronautics Limited is just taking off and it will take more than a decade for the entire lot to be manufactured. The IAF has the mandate to have 272 Sukhoi 30 MKI in its fleet. The MiG 21s are on their last legs and have to be phased out.